We may also interact with you on third party sites where we post content or invite your feedback, such as www.facebook.com/guideposts, www.twitter.com/guideposts.org, and www.youtube.com/guidepostsTV (“Third Party Sites”). Except as otherwise described below, this policy does not cover the privacy practices of those Third Party Sites, or of companies that Guideposts does not own or control. You should check the privacy policies of those third parties when providing personal information through Third Party Sites. Guideposts is committed to protecting the privacy of your personal information. We also want to provide you with a rewarding experience by making the products, literature, inspirational experience and advertising content we make available, relevant to you. WHAT PERSONAL DATA ABOUT YOU DO WE RECEIVE AND HOW DO WE RECEIVE IT? Log Data: When you visit the Websites or Domains, our web servers automatically collect anonymous information that describes how our visitors use and navigate the Websites or Domains, which includes the number and frequency of visitors to each web page and the length of their stays, as well as the anonymous information automatically sent to us by your web browser, such as browser type, referrer data that identifies the web page visited prior and subsequent to your visit to our Websites or Domains , and IP addresses. We also may determine what technology is available through your browser in order to serve you the most appropriate version of a web page. IP Addresses: An IP address is a number that is assigned to your computer or network when you are on the Internet. It is usually associated with the place from which you enter the Internet, like your Internet Service Provider, your company or your university, though it may also provide information concerning your general geographical location. When visitors request pages from our Websites, our servers log the visitor’s IP address. We may collect IP addresses for a variety of internal purposes, such as system administration, to report aggregate information to our advertisers, and to audit the number of visits to different pages on our Website. Device ID: A device ID is a unique number permanently associated with your mobile or other device, such as an iPhone or Android mobile phone. If you visit one of our Websites or use one of our Domains using a mobile device, we may take note of your device ID and use your device ID to identify you or recognize you if you return, for certain internal purposes such as system administration, to report aggregate information to our advertisers, and to audit the number of visits to different pages on our Websites or use of the Domains. You can, of course, disable cookies on your computer by indicating this in the preferences or options menus in your browser. However, it is possible that some parts of our Websites will not operate correctly if you disable cookies. You should consult with your browser’s provider/manufacturer if you have any questions regarding disabling cookies. Web Beacons: While you are on our Websites or otherwise viewing our content, such as in a newsletter or e-mail, or are on the website of one of our trusted third party marketing partners, you may encounter Web beacons which may come from Guideposts or from third parties, such as advertisers or content providers. A Web beacon, which is sometimes also called a Web bug or “clear gif,” is a small graphic image in a Web page, a Web-based document or an e-mail message, which generally allows the party that set the Web beacon to monitor certain information about the viewer of the Web page, Web-based document or e-mail message, and may allow access to certain cookies. Web beacons are usually invisible to the user, because they are very small (generally 1-by-1 pixel). However, in general, any electronic image viewed as part of a Web page, including an advertisement, can act as a Web beacon. Web beacons typically collect the URL of the page the Web beacon comes from, the type of browser requesting the Web beacon, the IP address of the computer that the Web beacon is sent to and the time the Web beacon was viewed. Guideposts does not have control over Web beacons used by third parties and does not have access to whatever information they may collect. Guideposts may use Web beacons to count visitors to our Web pages and we may include Web beacons in HTML-formatted e-mail newsletters in order to count how many of our electronic newsletters (or particular articles, links, etc.) were actually opened. We may also use Web beacons on our Websites or the websites of our trusted marketing partners to allow us to show you offers that we think you will like and to avoid showing you offers that you have already seen, in order to improve your overall experience. We and our trusted third party marketing partners may share with one another anonymous versions of user information (i.e., aggregate data or data which does not identify a particular individual). We may use that information to link to and issue anonymous cookies containing demographic or intent-based data for online behavioral advertising purposes. Such cookies do not contain personally identifiable information. If you would like to opt out of online behavioral advertising, click on one of these links and follow the instructions found on those sites: http://www.aboutads.info/choices or http://networkadvertising.org/choices. Guideposts does NOT use or authorize the use of so-called “spyware” (i.e., we do not use embed pop-up, pop-under or other advertising adware in any of our downloadable features such as screen savers or wallpaper). We use the Personal Data you provide about yourself to show you advertisements that we think you will like, deliver the information or content you have requested, to contact you about our programs, products, features or services or for other purposes disclosed at the time of collection. For instance, we may send an e-mail newsletter to you or send information about new services to you. Prayer Request, Tell Us Your Story, Answered Prayer: If you send a prayer request from any of our Websites, Domains or Social Media Pages, Guideposts may collect your e-mail address and any other Personal Data contained in the body of your request. Your e-mail address is maintained for the purpose of contacting you, should we have any questions relating to your request, or for sending you a Personal Prayer Response when requested. 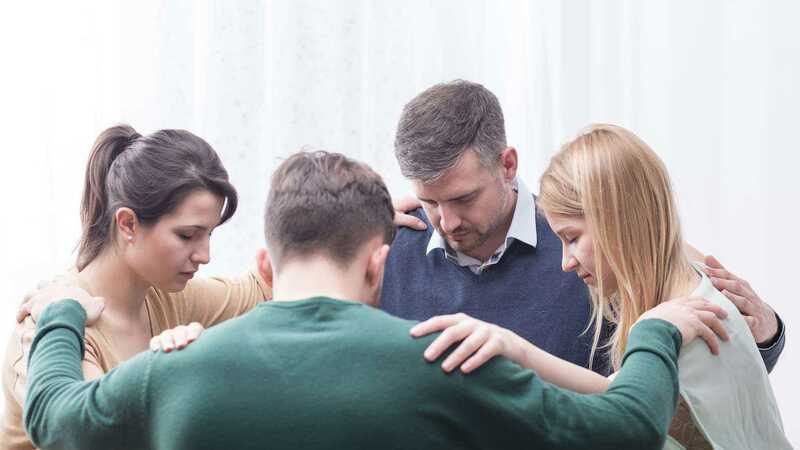 If you select your prayer to be made public, it will be made available to the general public when it is posted on the Pray for Others portion of our Websites, Domains or Social Media Pages. If you choose to submit a testimonial, Tell Us Your Story, or submit an Answered Prayer, we may collect your e-mail address and any other Personal Data contained in your submission. You also agree that by submitting a testimonial, Tell Us Your Story, or Answered Prayer, that we may make the content of your submission public, including by posting the content or an excerpt on our Websites, or sharing your content on Social Media Pages. If we select your content for sharing on third party sites or Social Media Pages, the use and sharing of your content will be subject to the policies and practices of those third parties. If you do not wish the content of your submission to be made public, you should not submit a testimonial, Tell Us Your Story, or Answered Prayer. Transactional Information: If you subscribe to our magazines or purchase items online or via mail, we collect and store the necessary Personal Data to complete the transaction (e.g., credit card number, shipping address, full name). We also capture your e-mail address to communicate with you regarding your order. Your information may also be shared with a third party payment processor to the extent necessary to fulfill the transaction. 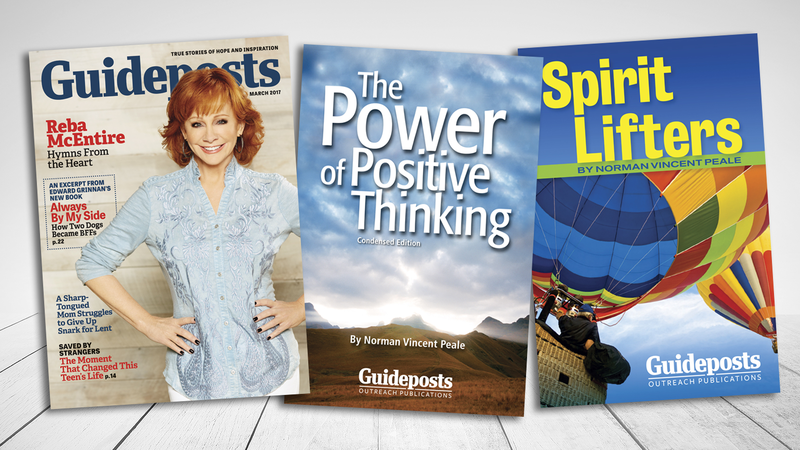 Currently, if you purchase a Guideposts product through our web store, you will receive a confirmation e-mail at your provided e-mail address. You will be registered to receive newsletters and Guideposts promotional materials, which you will have the option to opt out of via email. We also collect your physical shipping address and data about your purchasing history (e.g., the types of products purchased) when you make a purchase from the Guideposts web store or via mail. 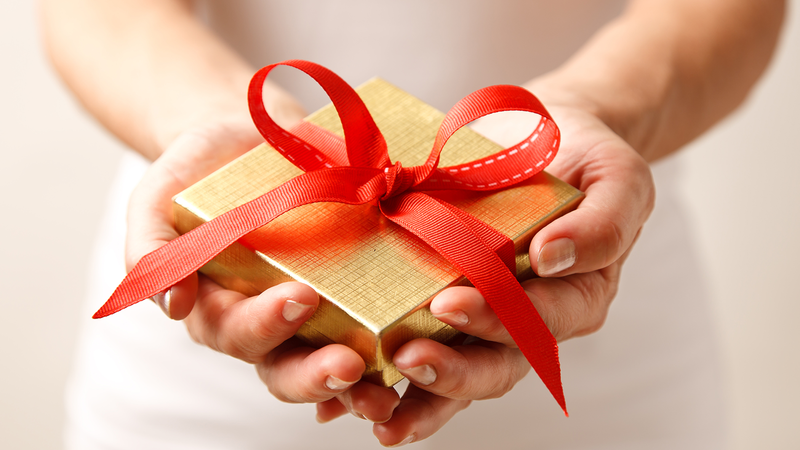 Guideposts may share this information with third parties who may send promotional materials to you. Donations: If you make a donation, we collect and store the necessary Personal Data to complete the donation, to contact you with respect to the donation and to provide any necessary legal documents to you (e.g., credit card number, full name, zip code, e-mail address, telephone number). Your information may also be shared with a third party payment processor to the extent necessary to fulfill the transaction. If you choose to make your donation on behalf of or in memory of another person, we will ask for information necessary to contact that person to inform them of the donation (e.g., full name, e-mail address, telephone number). We will not use that person’s information for any other purpose. If you choose to share through a third party site such as Facebook, Twitter, YouTube or other third party sites the fact that you have made a donation, the use and sharing of your Personal Data and amount of your donation will be subject to the policies and practices of those third parties. IP Numbers, Cookies and Site Metrics: Where Guideposts collects your IP address or device ID this information is used to provide you with better services and to improve the design and content of the Websites. We may provide aggregate non-identifying information about general trends and website use to potential advertisers or other trusted third parties. However, we do not provide this information to third parties or other organizations for their individual commercial use at the present time. Discussion Forums: Discussion forums are available for use on certain Guideposts Websites. Posted messages can be viewed by any visitor to the Website. Guideposts is not responsible for any Personal Data that you post on its hosted discussion forums or other public areas of the Websites, or for the activities of any third parties who collect voluntarily disclosed Personal Data in the discussion forums. From time to time, Guideposts may monitor the discussion boards for offensive or derogatory content, and reserves the right to delete your user account if you post any such content. We may provide access to your Personal Data when we determine that we are legally obligated to do so, such as in response to a legal subpoena, to cooperate with police investigations or other legal proceedings, to protect against misuse or unauthorized use of our Websites, or to limit our legal liability and protect our rights or the rights, property or safety of visitors to this Website or the public. In those instances, the information is provided only for that purpose. Guideposts may also sell, transfer or otherwise disclose user information, including Personal Data, if Guideposts combines or merges with, is sold to or is otherwise acquired by another company, such as through a corporate merger, consolidation, the sale of all or substantially all assets, or other corporate change. We take physical, electronic and administrative steps to maintain the security and accuracy of the Personal Data we collect, including limiting the number of people who have physical access to our database servers, as well as electronic security systems and password protections that guard against unauthorized access. However, no data security measures or data transmission over the Internet can be guaranteed to be 100% secure. Accordingly, we cannot ensure or warrant the security of any information you transmit to us, and you do so at your own risk. Protecting children’s privacy is important to us. For that reason, we do not collect or maintain Personal Data through our Sites and Services from those individuals we know are under the age of 13. We request that users of our Sites and Services who are under the age of 13 not disclose or provide any Personal Data without prior verifiable parental consent. If we discover or are notified that a child under 13 has provided us with Personal Data without his or her parent’s consent, we will delete the child’s Personal Data from our records. The Sites and Services are operated in the United States. If you are located outside of the United States, please be aware that any information you provide to us is either being collected in the United States or will be transferred to the United States. By Using the Sites and Services, or otherwise providing us with your information, you consent to this transfer. If, at any point, you do not wish to receive information about all or some of our programs, products, features or services, you can remove yourself from the mailing list for newsletters and promotional materials by sending an e-mail message to: [email protected] or by mailing your request to us at the following address: PO Box 5815 Harlan, IA 51593-1315. To opt out of email correspondence, you can also click on the unsubscribe button at the bottom of the email. If you do not opt-out, Guideposts may share your Personal Data with third parties for marketing purposes. Finally, it may take 30 to 90 days for your opt-out choices to be fully effective. Our systems require time to update, and promotional mailings using Personal Data shared before your opt-out may already be in process. Thus, your Personal Data might continue to be shared with third parties for promotional purposes for up to 90 days after you make your request. For similar reasons, if your Personal Data is shared with a third party, Guideposts generally loses control over how that information is used. Thus, even after you have opted-out of allowing us to share your Personal Data, you might continue to receive promotional materials from third parties unless and until you duly register your opt-out request with each third party in question. For Personal Data collected in performing the contract governing our provision of goods or services or to take steps that you request prior to signing up for goods or services: The legal basis for this processing is consent. For Personal Data that you provide to us contained in or relating to any communication that you send to use or that we collect about you: The legal bases for this processing is consent and/or our legitimate business interests, including the proper administration of our business and customer relationships, managing our relationships with customers and users of the Sites and Services, creating aggregated or de-identified data, fraud prevention and safety. For information provided in the course of the use of our Sites and Services, including subscribing to email notifications or newsletters: The legal bases for this processing is consent and/or our legitimate business interests, including the proper administration of our Sites and Services, ensuring the security of our Sites and Services, analyzing the use of our Sites and Services and monitoring and improving our Sites and Services. We may process any Personal Data where necessary for the establishment, exercise or defense of legal claims, whether regulatory, in court proceedings or in an administrative procedure.The legal basis for this processing is our legitimate interests in compliance with laws and regulations and the protection and assertion of our legal rights, your legal rights, and the legal rights of others. The right of access. This is your right to see what Personal Data is held about you. The right of rectification. This is your right to have your Personal Data corrected or amended if what is held is incorrect in some way. The right to erasure. Under certain circumstances you can ask for your Personal Data to be deleted. The right to restrict processing. This gives you the right to ask for a temporary halt to the use of your Personal Data, such as in the case where a dispute or legal case has to be concluded, or the data is being corrected. The right to data portability. You have the right to ask for any Personal Data about you in our possession to be provided in a structured, commonly used, and machine-readable format. The right to object. You have the right to object to further use of your Personal Data which is inconsistent with the primary purpose for which it was collected, including profiling, automation, and direct marketing. The right not to be subject to a decision based solely on automated processing. Under California’s “Shine the Light” law, California residents are entitled once a year to request and obtain certain information regarding our disclosure, if any, of Personal Data (whether collected online or offline) to third parties for their direct marketing purposes during the immediately prior calendar year (e.g., requests made in 2018 will receive information about 2017 sharing activities). Email us at [email protected], call Guideposts Customer Service at (800) 932-2145 Monday through Friday between 8 a.m. and 6 p.m. EST, or write to us at: Guideposts, PO Box 5815, Harlan, IA 51593-1315. You will need to provide enough information to identify you, provide proof of your identity, and information to which your request relates.